Jaxon-Raye, provides best it software development consulting like cloud based software, web based software, desktop applications, designing and development etc along with business consultancy in Houston. Are you not using your current CRM software as effectively as you could be, and need professional help to implement the system correctly? Are you ready to cut costs and increase profits dramatically through the proper use of software and technology? Are you looking for a partner to help you establish true, measurable business processes & procedures for your organization? Our One-On-One Consulting Services will help you develop truly effective and consistent business processes and procedures. 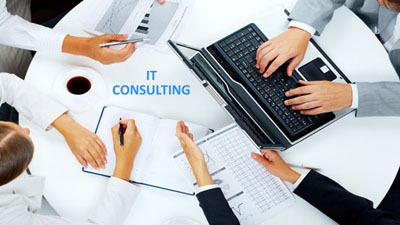 PLAN: We start with a full Business Process Analysis, investigating exactly how your organization currently operates. Our analysis consists of a two day onsite engagement (Also provided online) to go through our 235 question questionnaire with your team which helps us to document your business processes in the following areas; Sales, Service Operations, Marketing, Accounting & Billing, Inventory and Procurement, and Use of Current Software. This helps us identify any inherent inefficiencies in your processes, as well as opportunities for improving the productivity of your employees. We will also establish key reports and measurements that give you visibility into what is working for your organization, and what is not. We then deliver a Master Report with our findings from the Business Process Analysis, recommendations on improving the various areas of your business, and a Scope of Work and Implementation Plan for rolling out the recommendations laid forth in the Master Report. EXECUTE: We then move forward with the plan in the Scope of Work and leverage your recalibrated business processes and ensure they are reflected inside your business management software. Our consultants focus on the items that have the most ROI for your organization in two ways; efficiency and revenue (Efficiency comes from utilizing software and technology more effectively, and revenue comes from building and executing an all-out sales and marketing plan). We fully train your employees, bring them up to speed on your go-forward operating procedures and clearly communicate the expectations of company management. Ensuring your people are adept at day-to-day functions through proper training is key to achieving your desired results. MEASURE: The third and most crucial step of the consultation is to measure results. We'll utilize the reporting metrics we've established to analyze your results and make adjustments as necessary. Going forward, you'll meet monthly with your Jaxon-Raye Consultant to evaluate results achieved from our plan, as well as discuss new strategic initiatives that will help keep the results pouring in If you’re interested in learning more about how to get started with Jaxon-Raye consulting services and specifically the Business Process Analysis, please send us an email or contact us today!